Don't miss this wonderful opportunity for a fantastic, quiet location with amenities at this price! 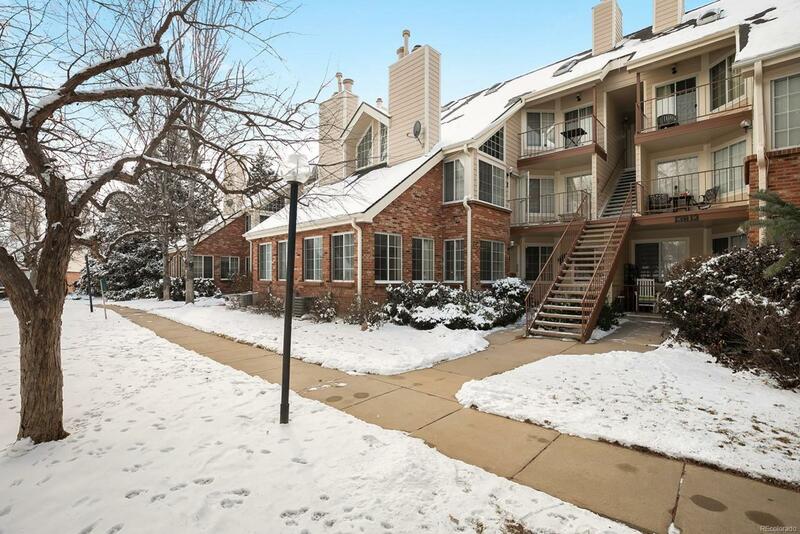 You'll fall in love with the attached garage, in-unit laundry, easy access to I-225, Cherry Creek and DTC, views of the golf course, natural burning fireplace, large master bedroom closet, very bright bedrooms, loads of natural light and open concept living. Newer water heater. Low HOA! Cherry Creek Schools! Plenty of visitor parking and walking distance to Cherry Creek State Park and the reservoir. Sit on your front porch and look out at the golf course or drink your morning coffee watching the sunrise. Community features include a pool, hot tub, and clubhouse. Wonderful investor opportunity. Lovingly cared for.